Eastern Europe has historically been and still is a powerhouse when it comes to producing beer. Tradition and quality are the two buzzwords for many established breweries in Eastern Europe, yet the craft beer fever has spread from the Baltic all the way down to the former Yugoslav states. Craft beer is a means of expression, artistic freedom. These young brewers haven’t rejected or revoked their brewing heritage but looked to build upon it and emulate the success of their British and US counterparts. In 2017, the market research company Technavio forecast that the craft beer market will grow by more than 11% in Europe by 2021. In the same year, it was reported that in the UK there had been a seismic boom in terms of brewing, a 64% increase in brewery openings from 2012-2017. And this tidal wave has also swept all over Eastern Europe. While on the whole it is cheaper (than the UK for example) to start up a fledgling brewery, it is arguably much harder to get established and then turn a profit quickly, given ‘big’ beers hold on the market share, especially in countries like Czech Republic and Poland. It’s a widely known fact that the Czech Republic has the highest consumption of beer per capita in the world, a fact that Czechs are very proud of, and they’ve been brewing beer since the 10th Century, so they know what they’re doing. Beer is a right as much as it is a drink, literally cheaper than bottled water and soft drinks. The Czech Republic also plays a global role as a hop producer, mainly of the Saaz variety, growing around 6000 metric tons per year (the third highest producer behind the US and Germany). The craft beer pioneers in the Czech Republic had a tough task. To somehow infiltrate and prosper in a beer scene dominated by large established breweries (like Pilsner Urquell, Budweiser Budvar and Staropramen). Progress has therefore been slow, and although none of the new wave Czech brewers can compete in terms of scale, they offer an alternative to the mainstream of lager, lager and lager. Don’t be surprised to see IPAs, Pales, even Sours at the bar from the likes of Matuška, Svatŷ and Falkon, when crawling around Prague and Krakow. Just like it’s neighbour Czech Republic, much of Poland’s brewing History is centred around lager. For decades it’s been the big 4 (Zywiec, Tyskie, Lech, Okocim) that have dominated the landscape and tap lists in bars across the country. However both attitudes and consumers tastebuds are changing. Pinta can say with justification that they are the founding fathers of the Polish craft beer movement, brewing the first Polish IPA called ‘Atak Chmielu’ (which translates to hops attack) back in 2011. Since that watershed moment, numerous breweries have spawned all over the country. Browar Artezan based just outside of Warsaw is one of my personal favourites. Their Dodo tropical IPA is modelled on the juicy/hazy New England style IPAs that are currently the most popular craft beer style globally. Packed full of mango and citrus notes, it is as much fruit juice as it is beer. Add AleBrowar, Perun, Trzech Kumpli and dozens of other breweries in the mix and it’s clear that the Polish craft scene is both strong and sustainable. The capital of Estonia, Tallinn has carved a very niche reputation very quickly. It is a true craft beer haven, cheap, easily navigable if a little cold. Unlike Bruges and Prague, two beacons that attract beer lovers the world over like moths to a flame. Tallinn isn’t as tied to its own brewing heritage, yes you’ll still find Baltic Porters and Stouts in abundance but the beer scene is fresh, bright, unapologetic. The city itself is a treasure map of bars, bottle shops and breweries. Põhjala in my opinion, represent the cream of Estonian brewing and Europe as a whole. In particular their ‘Cellar Series’ is one of the most exciting and masterful barrel ageing programmes in Europe, maybe the world. Taking stouts, saisons even IPAs and ageing them in a variety of barrels from Bourbon, Calvados, Cognac even Tequila. One reason why craft beer has flourished so quickly around the world is because consumers were craving an alternative to mundane mediocre mass produced lager. What was first dismissed as a fad or hipster is now very much part of the market share the world over. 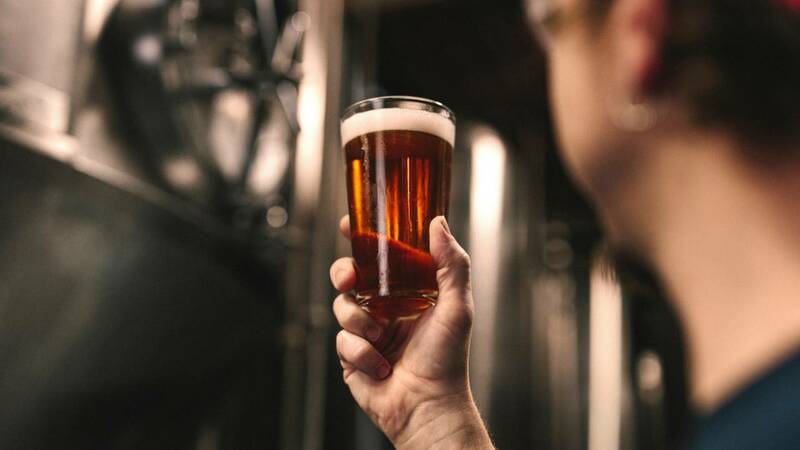 From the Baltic States to Hungary down to Croatia, Eastern Europe is proving very fertile for craft beer and although these breweries may never challenge the supremacy of lager volume wise, for us consumers, there’s now at least a more balanced array of beers to choose from.